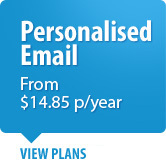 FREE email with every domain name. Register your domain name quickly and easy with Domain Registry Australia today, with one of Australia's Best Value top domain name provider. Your domain name registration is completed as soon as your registration form and payment has been received. The registration process takes minutes. A confirmation e-mail is sent to you instantly with the details of your domain registration and information on how you can manage your domain. 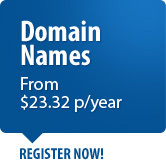 Best Value Domain Name Provider. 99.9% Uptime Guarantee. Web hosting with free cPanel and website traffic statistics. 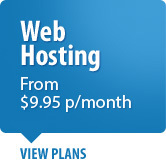 Start hosting your website today and get your business online from as little as $9.95 per month. This website hosting package includes a huge 20 POP email accounts, FREE cpanel hosting control panel, 2 addon domains, 10Gb of Data storage and 20 Gb of Data transfer. We also include FREE awstats web traffic statistics on your Hosting. 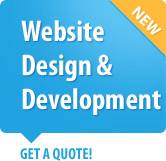 This package is more than enough to run any personal website or general business website online. 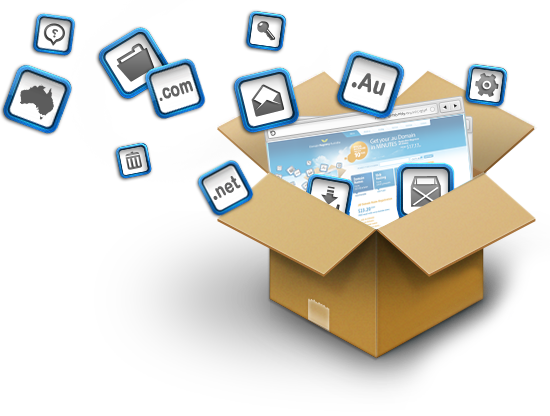 Quickly install and setup Wordpress, Magento, Joomla, CMS, ECommerce and more.